Duck River Electric Membership Corporation | Why are air sealing and attic insulation so important? Stopping heat loss is key to keeping your home more comfortable and reducing your energy costs this winter. In fact, the average home can lose some measure of its heating and cooling efficiency through air leaks found around central unit ducts, plumbing that leads outside or to other uninsulated areas and through small gaps around windows and doors. Perhaps the biggest issue most homes have is too little attic insulation. Proper attic insulation is one of the most cost-effective ways to improve the heating and cooling efficiency of your home. Whichever type of insulation you choose, it is recommended that you have at least 13 inches of attic insulation to receive the best results. Adding insulation to your attic, crawl space and any accessible exterior walls will help keep your home warmer this winter and reduce heating costs. 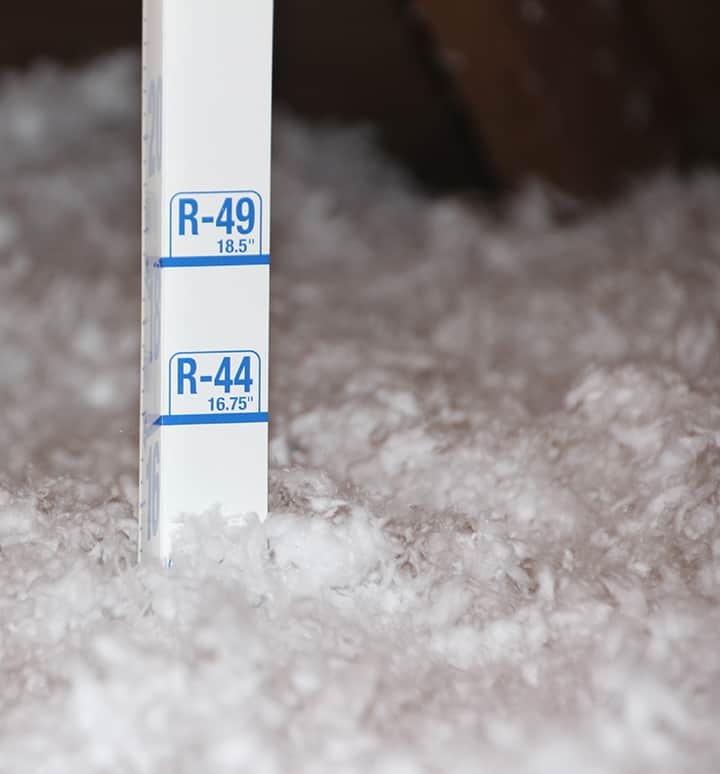 Check with DREMC before you add attic insulation; rebates are available if you qualify using a professional contractor certified by TVA’s Qualified Contractor Network. Register in the eScore program first to be eligible for the attic insulation rebate and other great rebates while they last! For more helpful tips on saving energy, reducing your energy costs, home energy audits and available rebates for energy improvements, click on the links below, or call us at 931-684-4621, and ask about the eScore program.